add 4% for credit/debit cards. Shipping will be based on item size and weight. Mostly, the gun users complain about the size issues of the thumb loaders. 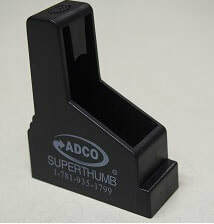 The need for the right sized Super Thumb Magazine Loader seems never ending for the gun users. However, the problem gets completely resolved when you land on ADCO’s portal. 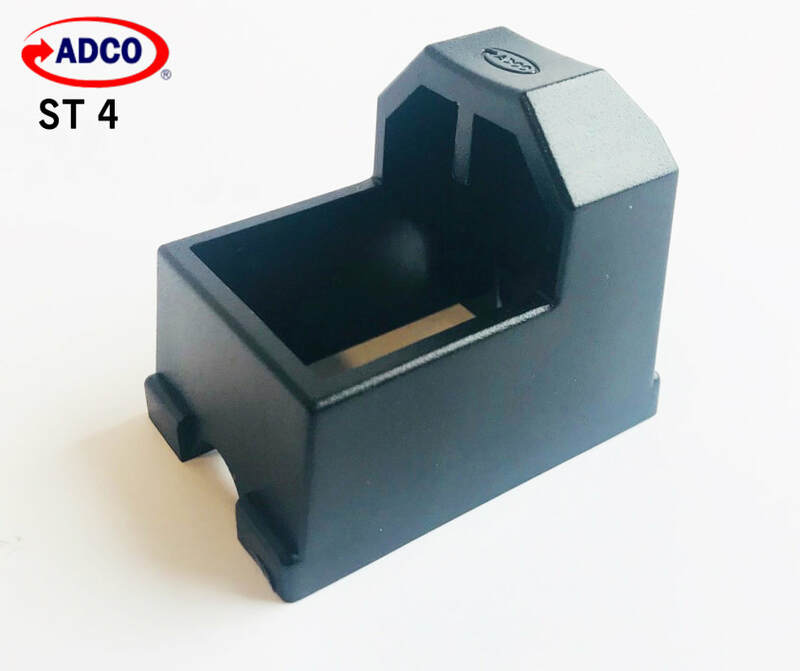 Our platform is popularly known for the quality gun products. 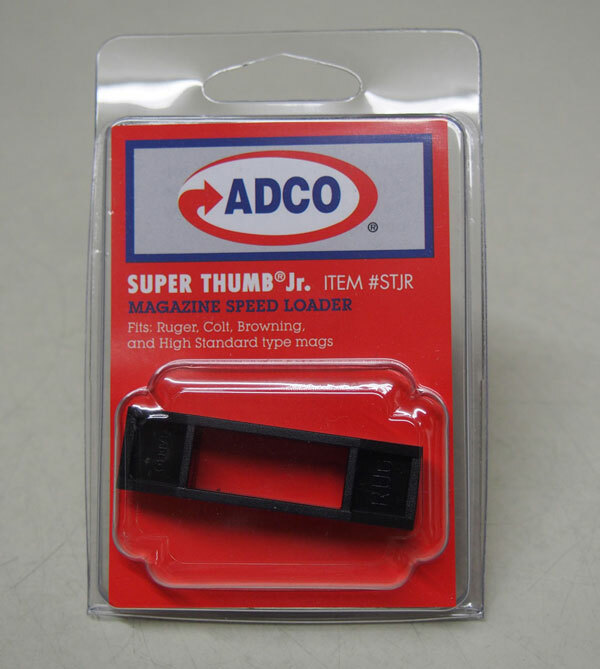 With the availability of the super thumb magazine speed loader, we fulfill the requirements of our customers. 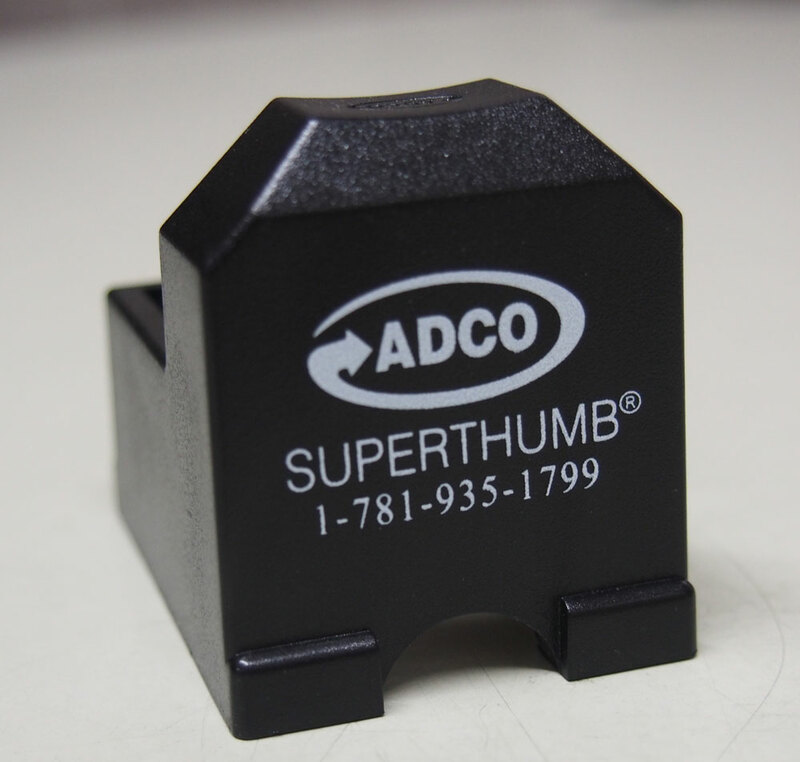 In fact, we have a huge collection of super thumbs, so that, you can pick the right product according to your needs. Various sizes and models are available in our huge collection. The features and the information regarding the benefits are provided as well. Hence, you just need to check out the product and evaluate the features. This way, you can select the right option for your needs. This model was our origianal model so it's versitility keeps it as a #1 seller. Athough designed to help with wider high cap magazines, there is also a groove inside the mag well, front and rear, to align a 1911 style magazine. Years later and more innovations came along we expanded to a complete line as we offer now. 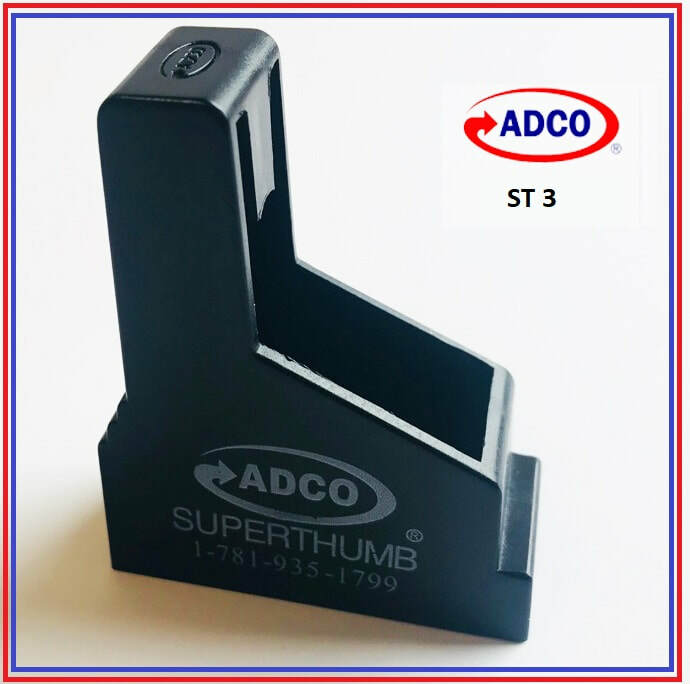 If it is not and ADCO, it's not a Super Thumb. The one that guaranteed not to break. 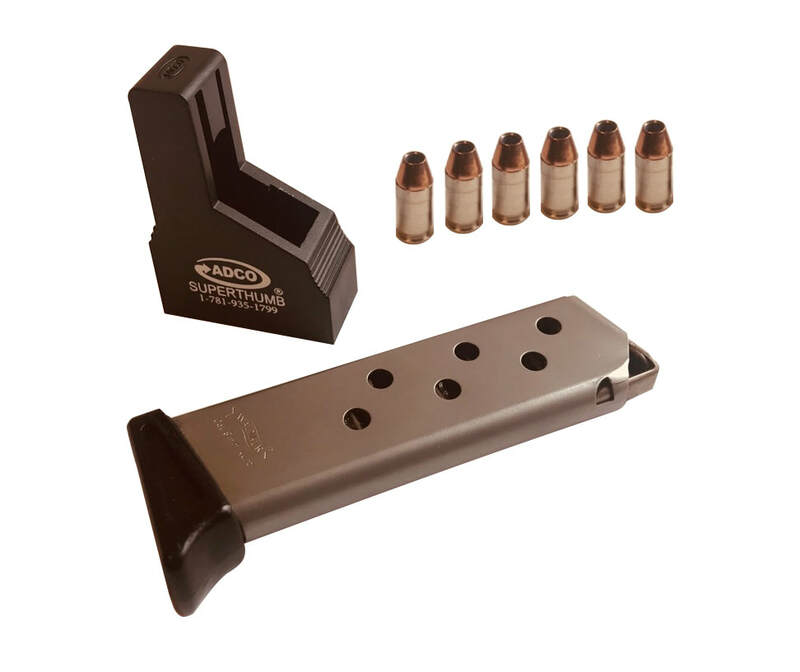 When it comes to high cap magazines there are a few that are extra wide, most notably Para's and Glock's. For these situations you need something wider than ST1 provides so we came up with ST2 which covers a lot of them as seen on our chart. ​When you have a variety of flat magazines the ST3 will do the job for you. 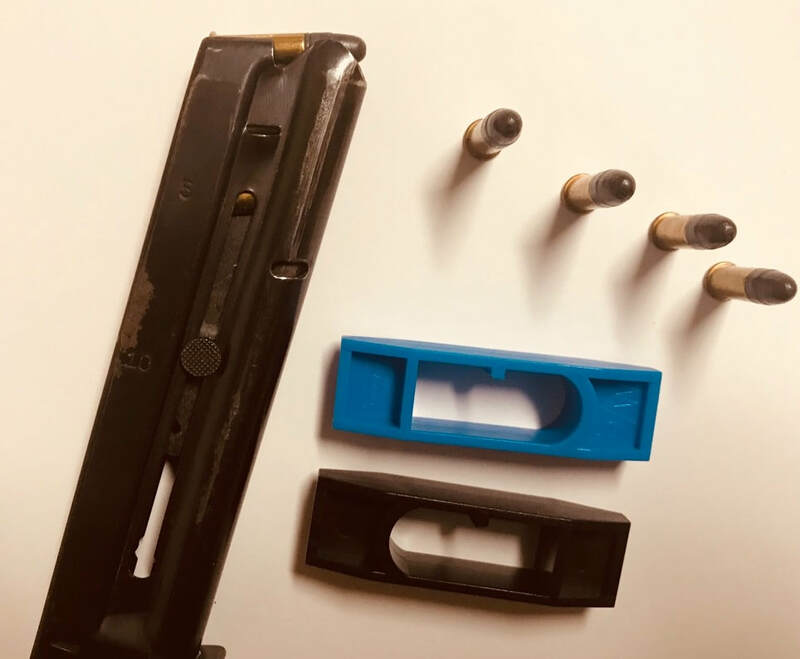 Although not purely a flat magazine, the S&W Shields have a light stagger that we have fitted inside this ST3 model and that last few rounds go in a lot easier with the simple 4 step process you need for make ST3 do it's magic. Ladies especially like how it maintains a nice set of finger nails. 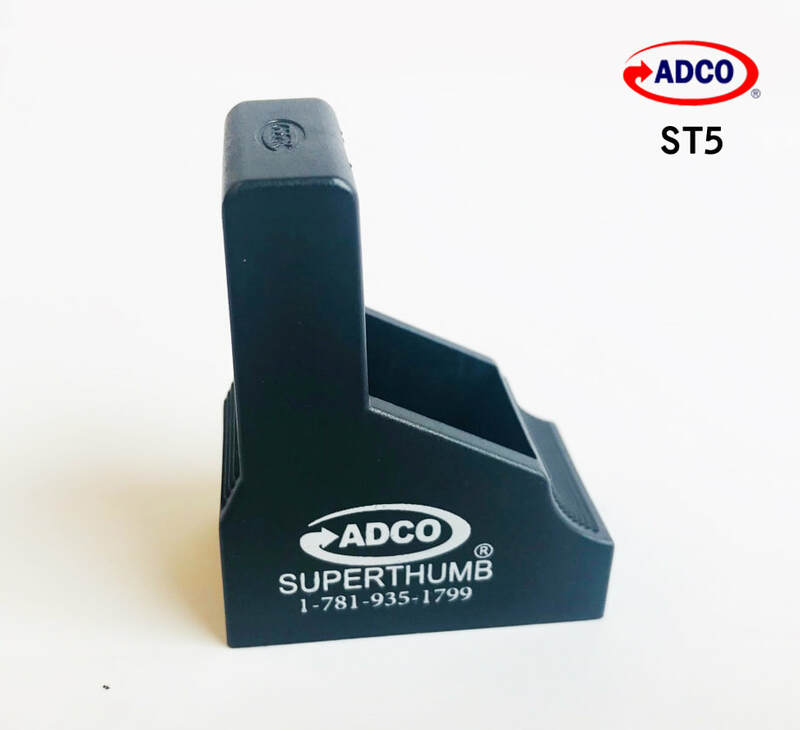 The small shield on the lower right corner of the picture on the package lets you know you are picking the new improved ST3 for all calibers of Shields. 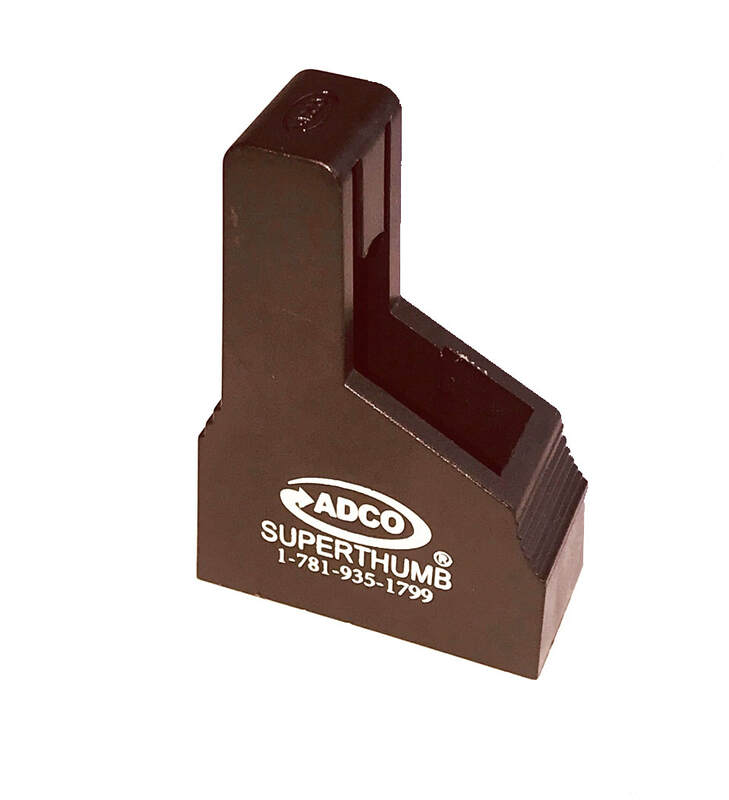 This is Super Thumb's only rifle magazine loader other than rifles that use pistol magaines. 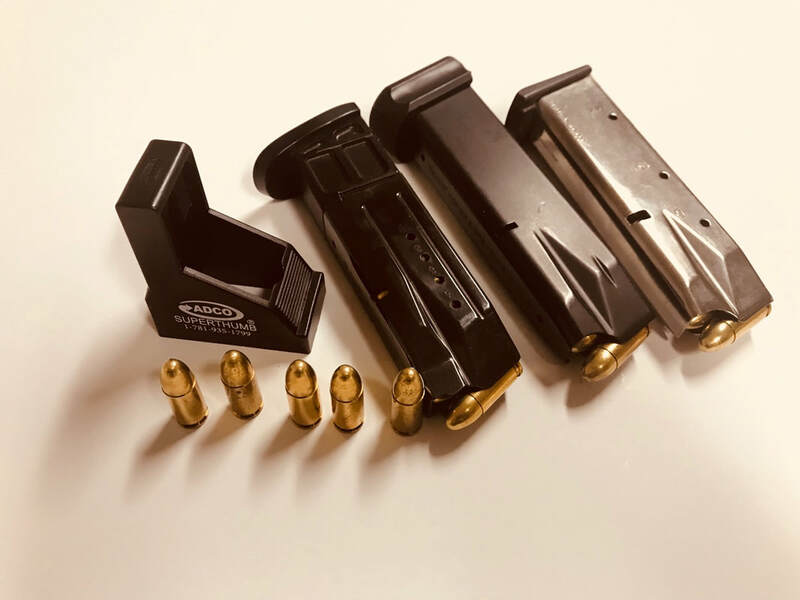 Because of this .22 caliber guns popularity there were a number of people who sought help with this high capacity magaines that servera after market manufacturers started making magazines for, and in recent years even Ruger has taken part in producing. If you have one of the high capacity .380's similar to what Bersa, Beretta and Browning have put out then this is the one for you. 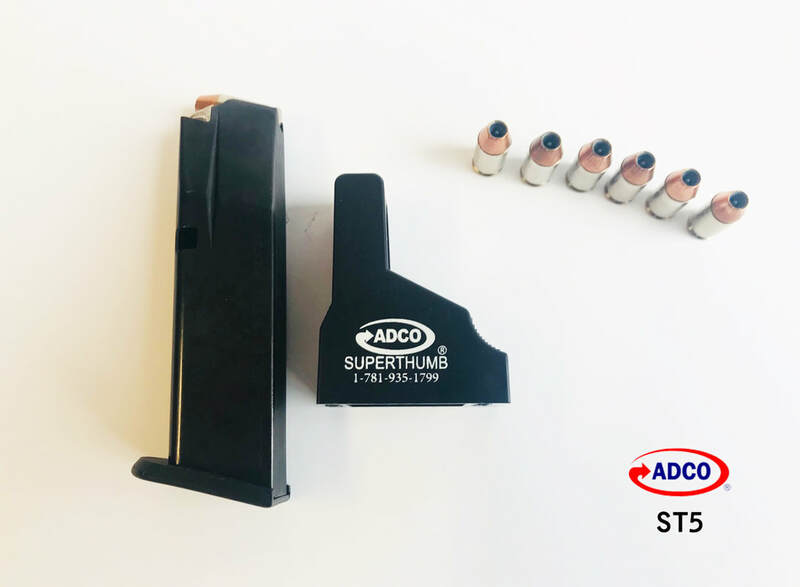 The ST1 used to work well enough, but with the extra length in those longer rounds, there was a considerable amount of wobble and if you wanted a better fit you simply needed a shorter mag well. So after years of popular demand we came up with the ST5 to fill that need and make the loading proceedure more precise for your shooting needs. 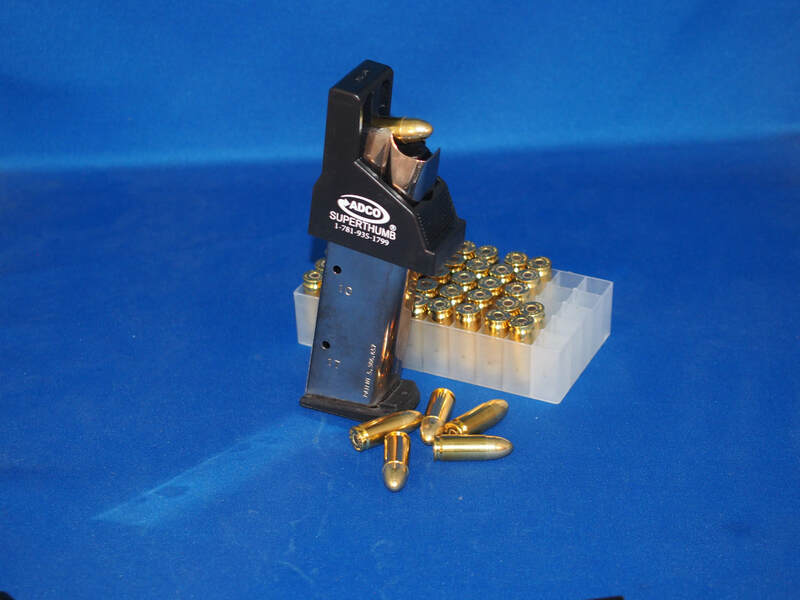 Having the right fit is best for magazine loaders. 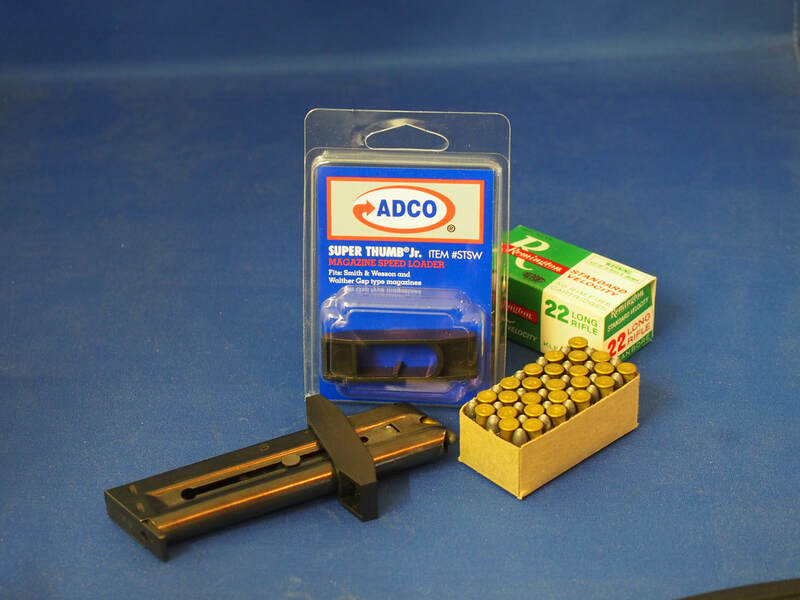 The ST6 fits the popular .380 ACP for most models. The ST3 used to do a pretty good job, but with the popularity of the new smaller handguns improving, the demand was so great that this has become on of our most popular models. If you have a flat in line magazine from back in the WW2 era or one of the newest brands, the ST6 does the trick in 4 easy steps. 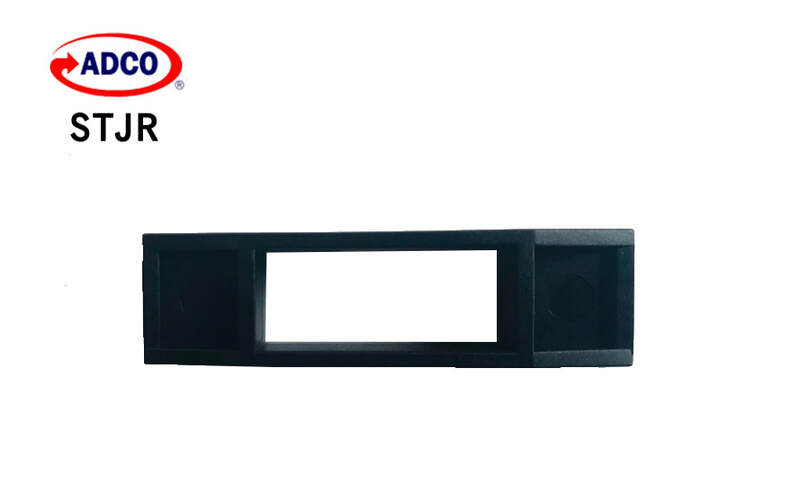 The STJR is simply a means of holding the often difficult button on the side while loading your magazine during matches. The last thing you need is the nuicence of hurt or bleading fingers during a competition not to mention broken finger nails. The Super Thumb Junior holds the button down comfortably while you are enjoying your sport either at a match or at practice. Although STJR covered a lot of target pistols, there were a couple that were not covered that we though should be. Those being the Smith & Wesson model 41 and the Walther GSP target pistols. 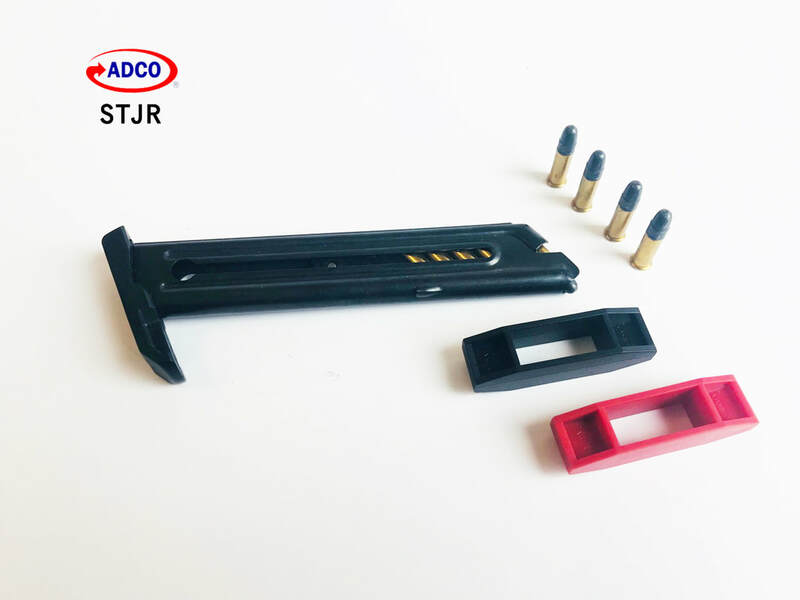 These models have a little tab that can be a bother while reloading the magazine and this tool has a little tab that will more comfortably allow you to replace .22 cartridges in the magazine.